A not so serious hoodie of ours, but one we find incredibly funny. Donald Trump has managed to split a nation. Opinions aside, he has a funny face. 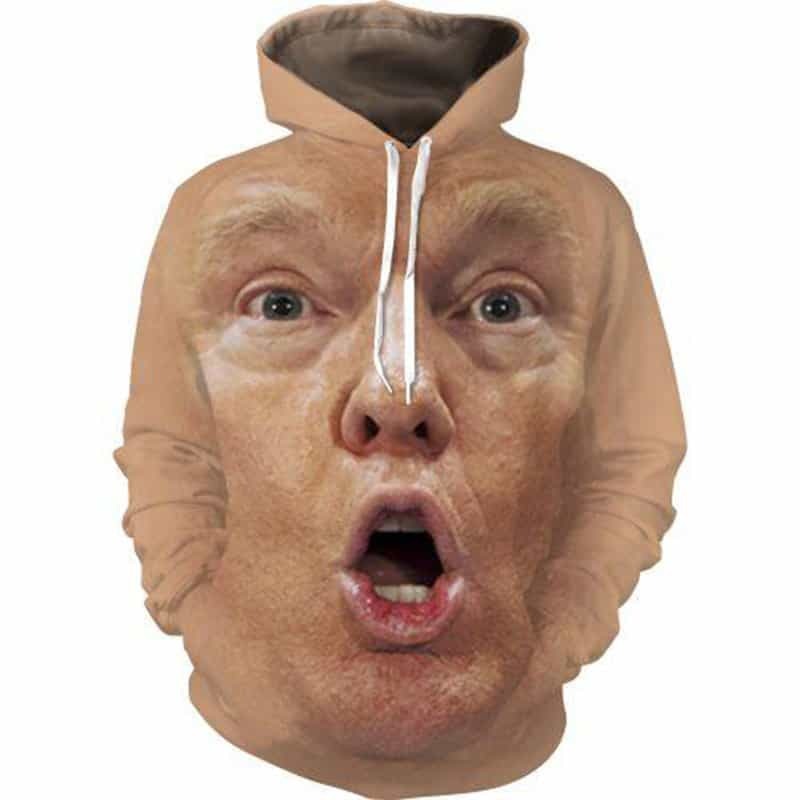 So this Donald Trump Hoodie features a huge print of his face with his mouth open. The hoodie is comfortable to wear, looks fashionable and is wearable anywhere. It was designed for both male and female. THESE ARE ALL POLY…..you will need a shirt under it……I thought they were sweatshirt material…No cotton except the tie around the neck.